Reckoning is a multi-media exhibit organized by Resmaa Menakem (author) and Mike Bishop (PF co-director) in conjunction with the release of My Grandmother’s Hands. The exhibit was initiated to create a variety of ways for viewers to engage with topics from the book. The artists included in the exhibit participated in a training led by Menakem about topics from My Grandmother’s Hands including intergenerational trauma, how trauma lives in the body, the individual and collective experience with white body supremacy in America, and how we can work towards healing this racialized divide. The participating artists then created new works based on their trainings as well as included existing work that fit with in the scope of the project. 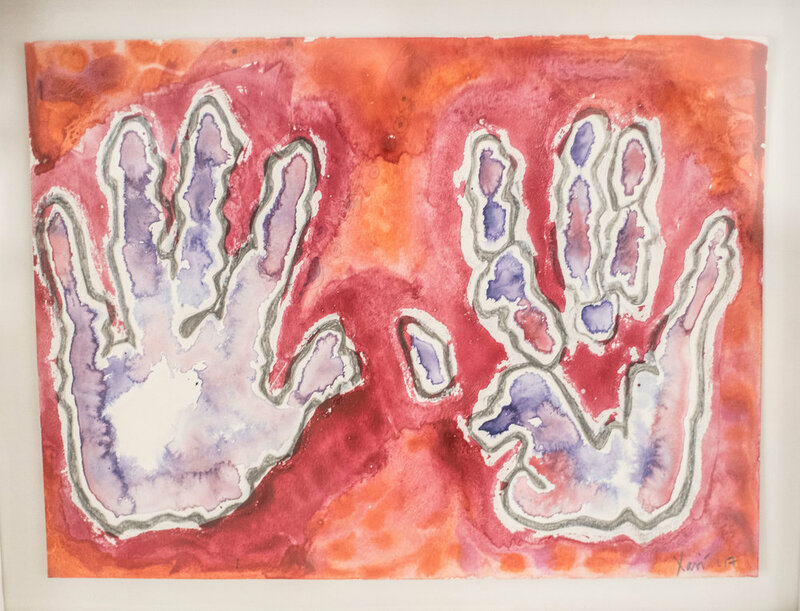 As the artists worked, they communicated with Menakem and Bishop about their thought process and intentions to ensure that they were creating work that was meant to call attention to or heal trauma — not cause more of it. Reckoning, which will be on view from September 9th-September 24th, will include site specific installations, videos, paintings, soundscapes, photographs, murals and sculptures from artists who vary in experience when it comes to creating work about intergenerational trauma and healing. 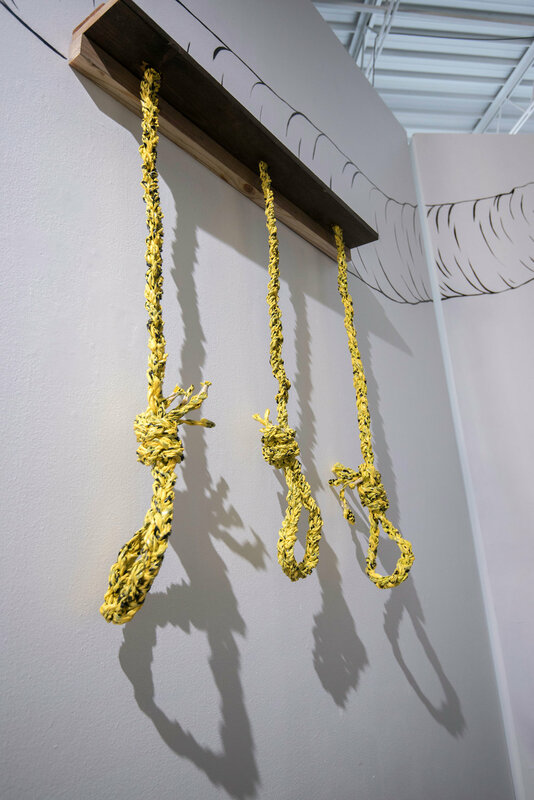 Due to this exhibit dealing with traumatic content, the artists provided additional context to help viewers better understand trauma and how they can work towards healing it individually and collectively. The poor white body was colonized, raped, traumatized, exposed to land theft, genocide,class enslavement,plague,crusades,inquisitions and torn apart for 1000 years by more powerful white bodies. Less powerful white bodies have tried to soothe those savage, middle dark age wounds and re-member itself after being dis-membered. To quell the dissonance between white bodies, powerful white bodies created, through law and institutions, the supremacy of the white body. These powerful white bodies created the white body to be the supreme standard by which all bodies humanity shall be measured. So instead of healing from the centuries old trauma and pain that existed between powerful and less white bodies, the pain was blown through red, black, and indigenous bodies – in turn creating white body supremacy. Frankie Baby Supreme represents this culmination of this historical trauma. Do you love yourself enough to give birth to yourself? In The Rantings of a Well-Behaved Child (2016) I only have one moving image, of Jamez’s feet, that appears briefly throughout the film. I abstracted the audio biography as well by editing it down to very short segments about Jamez’s life, in which I have used his own kind of cultural production in the representation - his poetry, his singing and his dreams rather than episodes in his life. I have let the artifacts that he chooses for himself, or the kind of cultural expressions that he chooses for himself, to speak for him. Before this piece, I never realized how a person’s voice recording could be representational of their internal landscape. In a sense, I was representing Jamez’s thoughts rather than his physical appearance. I also realized how liberating it felt to create a portrait without this physical appearance. Jamez’s feet became the biographical element in this portrait. Using a single photograph and audio re-cordings in real time begins to steer viewers away from stereotypes. Since they never get to see Jamez’s face in the film, this forces viewers to help create their own portrait of the individual. In essence, monologue is a dynamic way to access a self through stories and self-representation. This creates a different type of representation, where viewers question the way that we think of who a person is. By questioning our guiding principles in portraiture, I hope to open up a conversation about what a self is. My daddy’s mama raised her babies in Cabrini Green. Her humor showed strength in dark times. My daddy said she went to an appt with the doctor at age 84, and when he asked what they said, she replied: “I’m pregnant” lol. She told her kids to consider the source. When look-ing at things in this world, consider the source. She was strong, beautiful and was the only grandparent I got to touch. But i don’t remember seeing us break. We birth, and bleed, and carry history on our backs, i felt limitless. Callused. Steel covered tortoise shell of a back, Black Beauty. Now feel this, I’m a feeler. Aquarius. Artist. Lover. Hula Hooping. rose incense burning, ankh carrying, gangsta hippie (is what my ex before my ex used to call me). I can feel pain from underneath the smiling amour, I feel the weight of the world, and destruction of this planet as we forget to remember how connected it is to us. But, until now i’ve been able to separate my pain and keep it moving, pulsing all that I can into the movement. Into Black Lives. Into my babies. Into entertaining. Into healing spaces for those that mirror me. Into filling cast iron skillets with world flavors and frequencies, and sweeping dark corners and massaging eardrums with sultry heart songs from lost love. Even from my broken heart. Trayvon Martin. I cried so hard. What if that were my son?.. But I kept it moving, I had to. Walter Scott, I almost lost my lunch, but showed up to dj that night. I need the money or my kids don’t eat. But he reminds me of my father. The Black Man’s hustle. Mike Brown, I lost gigs for a week. Couldn’t look at my emails. I don’t care what they need from me, i stayed up 3 days straight live streaming the protests but still got my babies to school. I still got my babies to school but i felt guilty like I wasn’t doing enough. More than just a gallery, we’re working with an old medium in a new world. We’re taking risks and breaking down boundaries. We’re writing new rules to address the question: what is the purpose of a gallery TODAY? Public Functionary (PF) is an art exhibition and social space in Northeast Minneapolis (opened in 2012). Our approach challenges past paradigms of gallery culture. 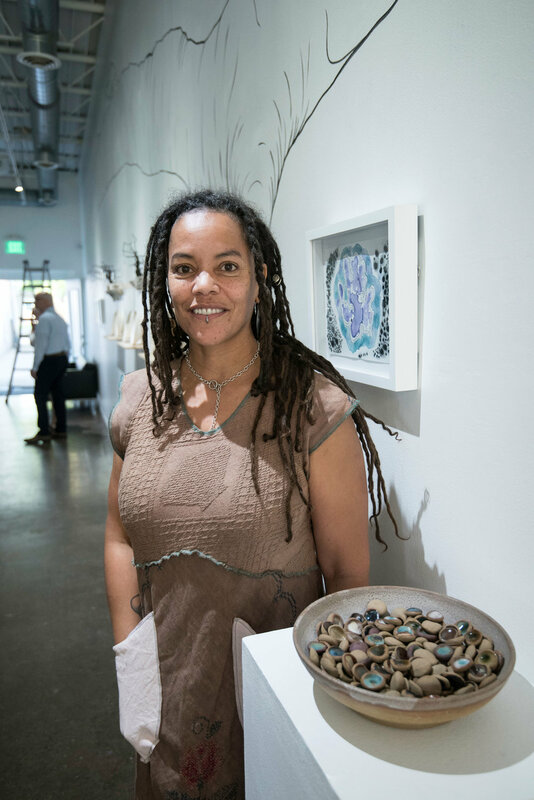 Public Functionary invites a broader audience reflective of the creative diversity of the Twin Cities to feel welcome, engaged and connected. We work towards a new expression of access and community in a modern context. In pursuit of this goal, PF focuses on creative risk taking, authentic audience engagement, collaborative power and presenting art experiences in an inclusive, immersive context. PF’s energy is not simply based on what hangs on the walls, but the people who activate and transform the space. On top of producing museum-quality exhibits, we continually open our doors to a highly diverse cross-section of both emerging and established creative producers. We act as a launch pad for them to explore possibilities through events, performances, installations and dialogue — often using our exhibits as a backdrop for these explorations. We provide a true voice for our community, allowing them the freedom of unfettered decision-making and creative empowerment.